The business networking directory for devotees from this site has been replaced by The Fellowship Network on Facebook. The way to locate the geographically based facebook index is to click on the albums pages. Simply select the geographic area in which you live to view a comprehensive list of goods and services from other SRF kriyabans available in your area. Adding your site, page or reference to your service or product for sale to The Fellowship Network on Facebook is as easy as writing a little bit about your company or service and how others can reach you. All of us have a unique gift, and we at www.yogananda.us would love to help you share your talents or service with the rest of our immediate meditation based spiritual family via The Fellowship Network on Facebook. This is a cost free network tool designed to help break down so much of the anonymity between members, and if there can be an opportunity of helpful synergy between members then generally it will start with knowing what each other does! Please feel very welcome to pass on the info and encourage others to submit their website or service, product for sale, etc., on this site so that other members can see what we all do. 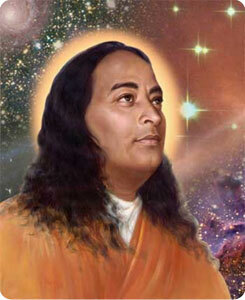 If you have any interesting articles relating to the teachings or SRF/YSS feel welcome to submit them for our growing scrap book on www.yogananda.us. This website is sponsored by donations from some SRF members and www.astrogems.com. We hope this site is of interest to you!